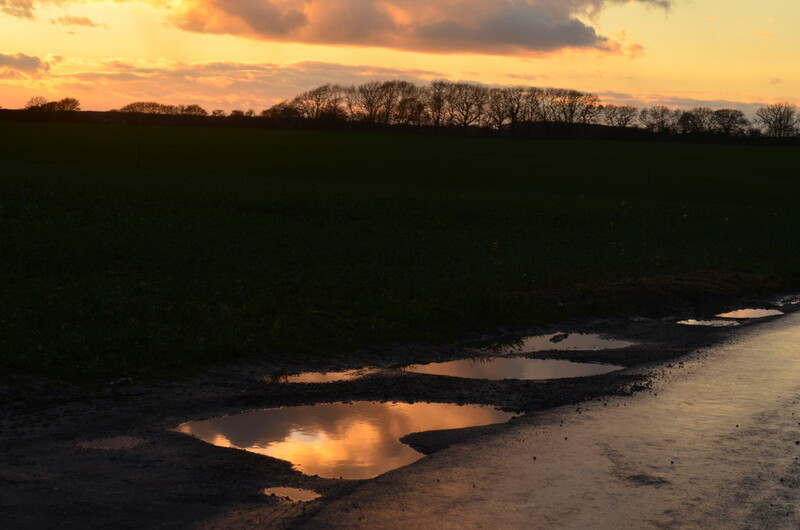 Only photographers would see these reflections in road puddles! Very beautiful! So wonderful ! - beautiful sunset and reflections ! What a lucky sighting FB - it made such an interesting photo. The shapes of the puddles are great and their perspective mirrors that of the trees. I really like it! Reflections made for great composition! Gosh are those puddles part of the road? I don't think I would want to be driving through them. Glad you got your lovely reflections anyway. @helenhall There are a lot of single track roads here with passing places full of potholes - not a great spot for driving round country lanes! Great find FB. Works a treat. sometimes you get lucky and this is one of them!